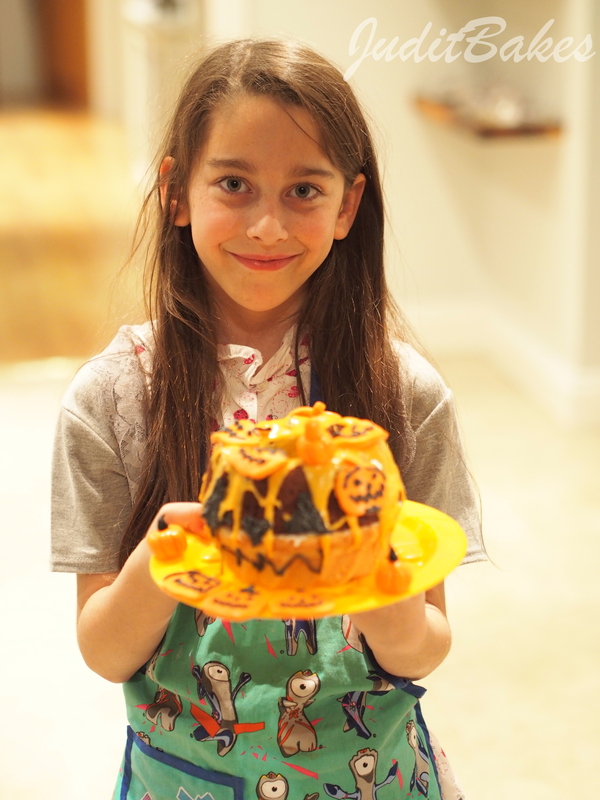 A Baker in the Making: Molly’s Halloween Pumpkin Cake | When Judit bakes...bread and better..
A simple, but most satisfying reason to bake should be the fact that it is a fun activity combined with joyful results that anyone can be proud of. When I was younger I often looked through my mum’s baking books which were both old and haggard. Yet, baking books and recipes kept (and still keep) me occupied for hours. 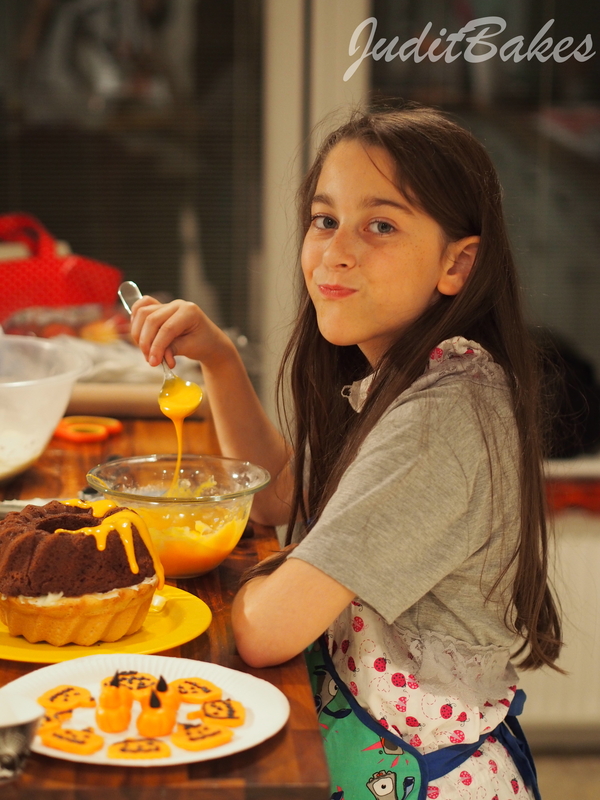 I loved to bake, I loved wearing the apron, and even though I would mostly prepare similar biscuits and cakes which never looked quite like my mum’s, they were all different things of beauty: because I made them all by myself. I often made horrendous mess, but that taught me how to finish projects in my life, as I had to tidy up afterwards. However, my mum never left me completely to it, always offered a loving, helping hand. 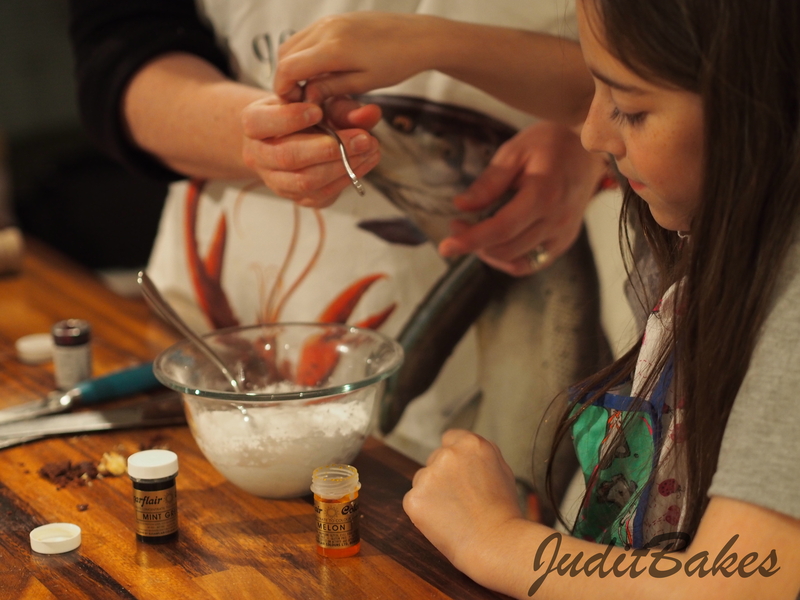 Through making things my own way, making my own discoveries, being given that freedom, through those less sophisticated baking times, I gained the greatest gift of all: I fell in love with learning. 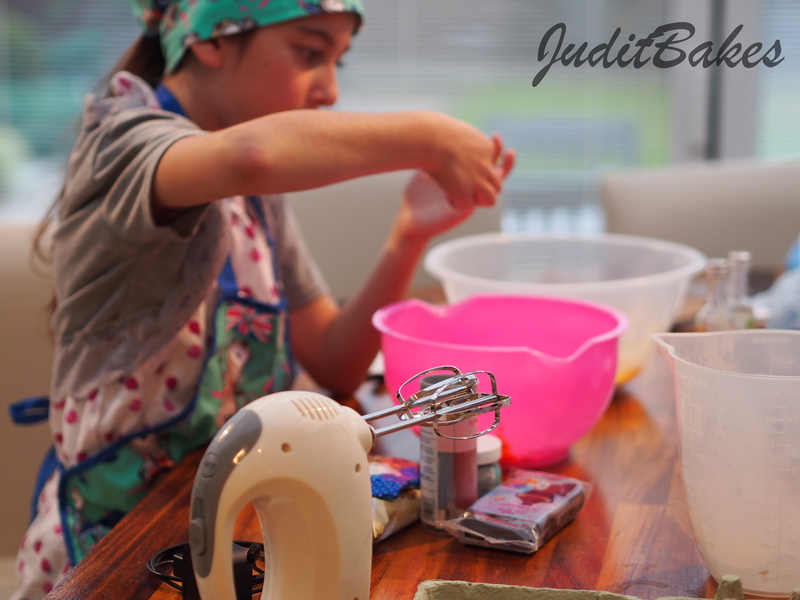 When a child completes key tasks like rubbing in, mixing flour and butter, understanding the recipe’s alchemy, creaming butter and sugar, changing colours, adding self-raising flour to produce air-bubbles, many different academic skills are developed all at once. 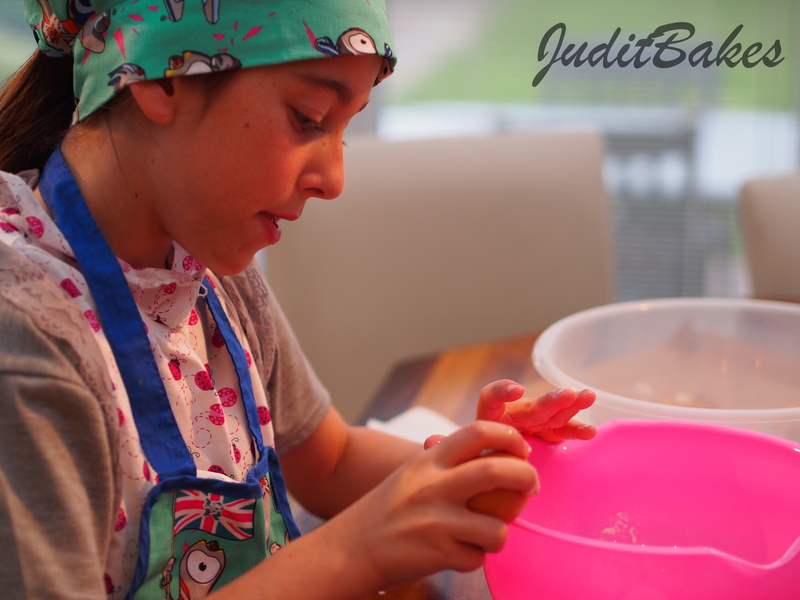 Following recipes helps with reading, weights and measures advance maths skills, kneading aids children in developing motor-neurone skills, concentrating turns into listening…. 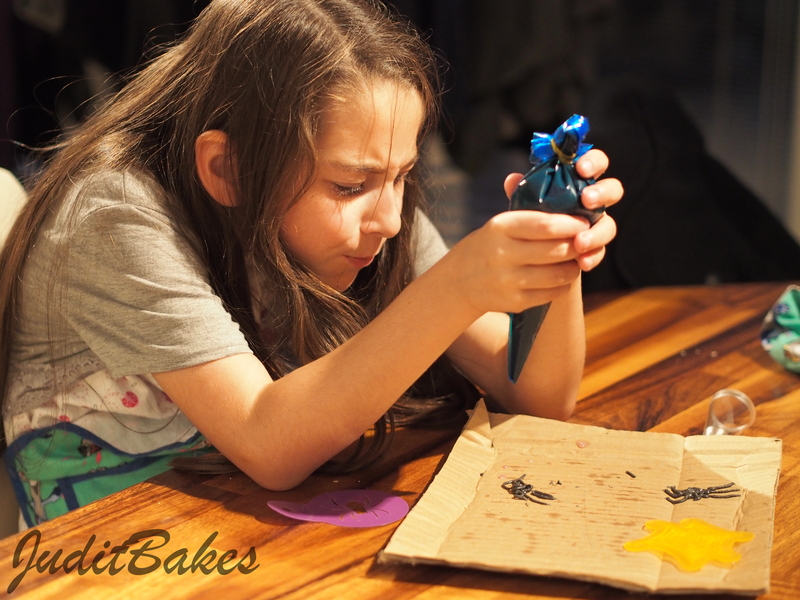 Baking also offers opportunities to teach about sustainability, to then nurture bakers for the next generation with old-fashioned respect and essential knowledge which can be applied to not just baking, but making and creating. This type of life-based teaching only works if adults around youngsters accept and master the fine balance between giving guidance and allowing children doing things themselves. 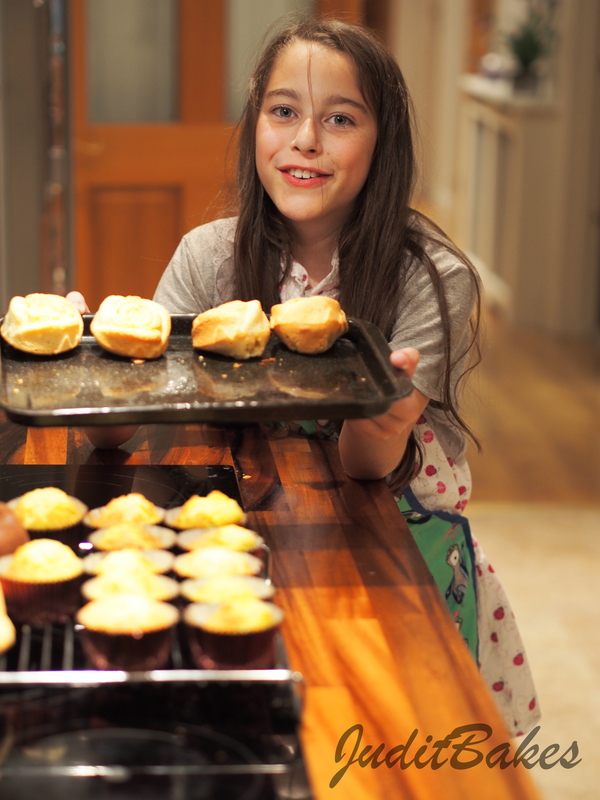 Little Molly, I felt is a culinary queen in the making, confident and empowered at only eight years old…proud, happy and well-spoken with a spark of baking brilliance at such a young age… She posseses the natural understanding that baking has been around since the beginning of time and it never gets old or goes out of fashion: there will always be new things to try and people to create for. 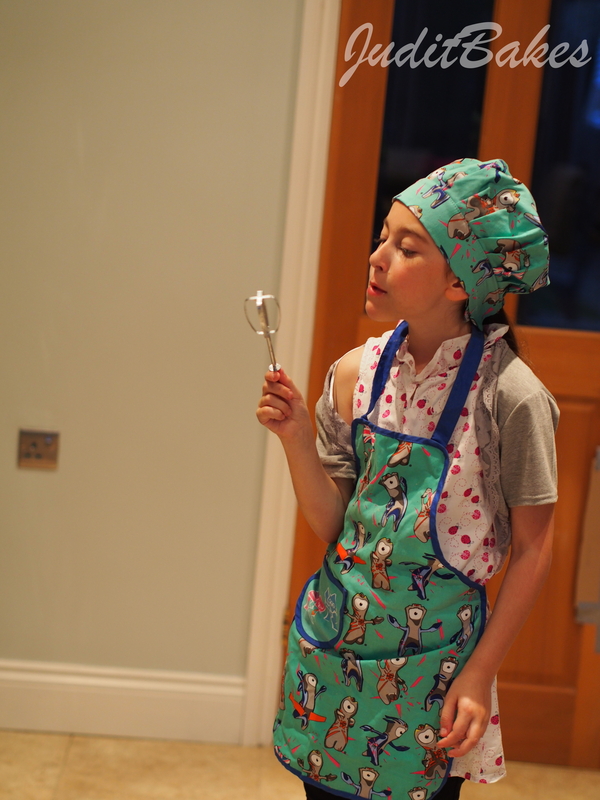 Baking is an international language everyone speaks, and open to anyone who wants to learn. 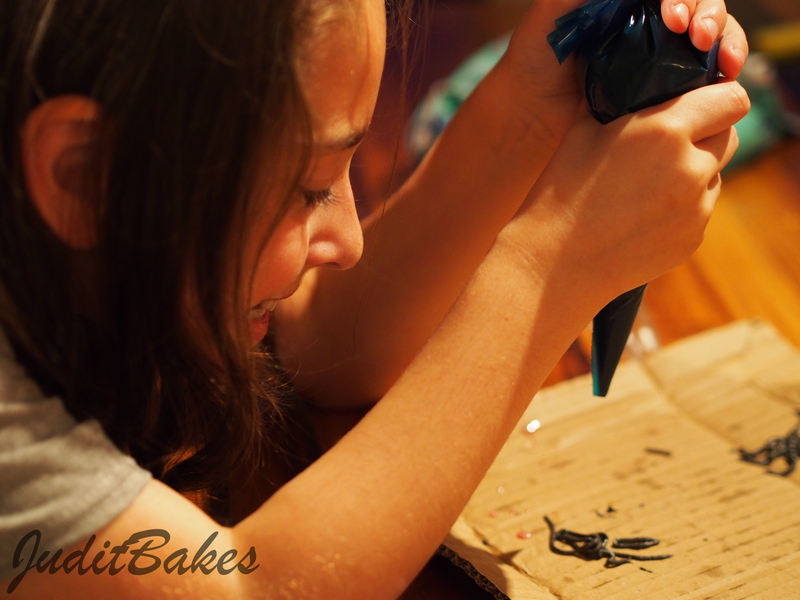 And even though not all will become experts, the most wonderful thing everyone can learn from baking is: how to experiment, just by freeing our creative mind. There is nothing quite like throwing all sorts of ingredients – like Molly’s green food colouring – together and seeing what happens. Sometimes it works, sometimes it doesn’t, and a can-do attitude with accepting that the end result doesn’t have to be perfect will provide young minds with the experience of feeling truly confident. 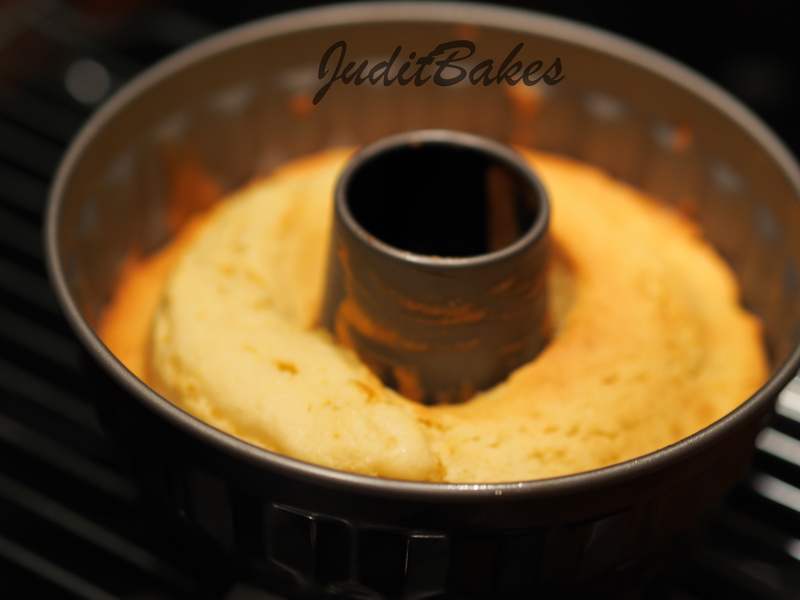 Set the oven to 190 degrees C. Grease mini bundt cake tin. 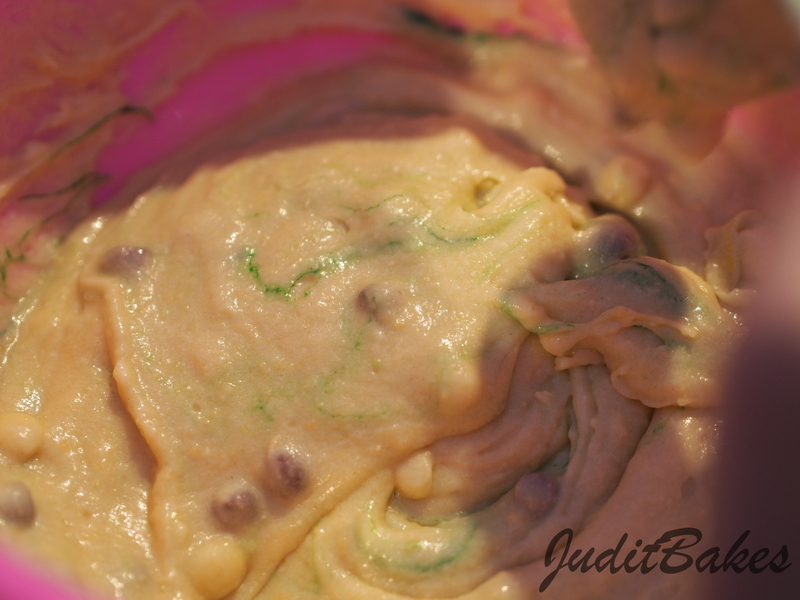 Use the all in one method by throwing everything into a bowl and mixing it with an electric beater. If the mixture is a little dry, add a tablespoon of water or milk at a time until the right consistency is acheieved. Half the mixture and tip one half into the prepared tin(only fills the tin to one-third). Bake until golden and risen and a skewer inserted in the centre comes out clean, about 25 to 30 minutes. In the meantime add the cocoa powder and milk to the second half of the mixture and incorporate well. Bake the second cake. Cool the cake in the tin for 10 minutes, then turn out to a wire rack to cool completely. 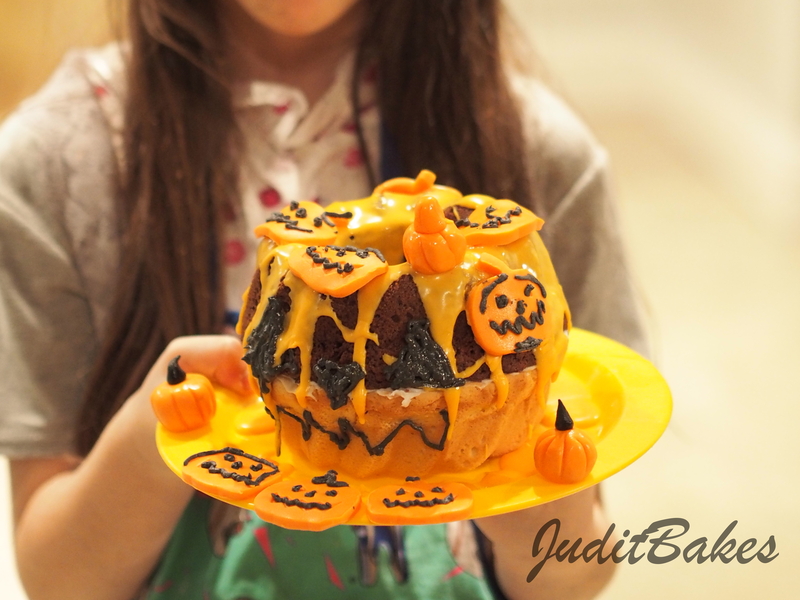 Create a pumpkin shape by turning one of the cakes upside down, fill with jam or melted white chocolate and decorate once completely cooled. 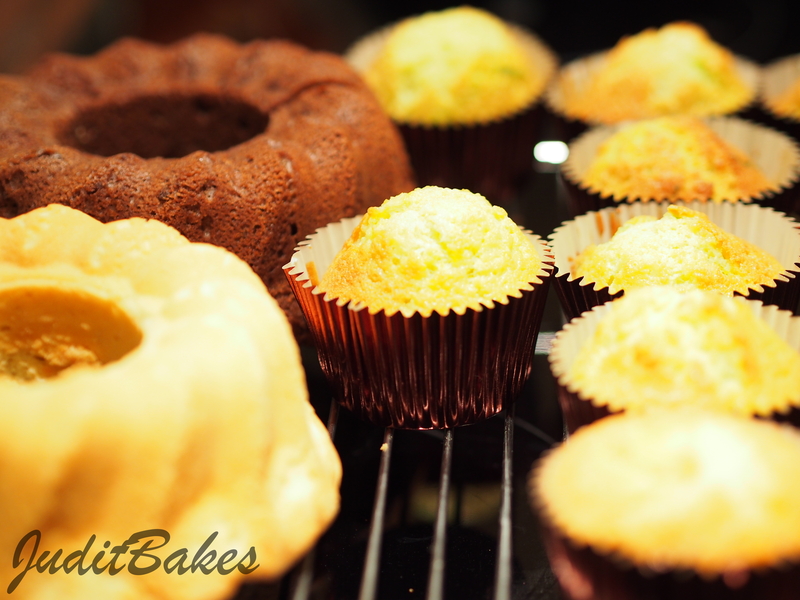 For the icing, sift the icing sugar into a large mixing bowl and stir in enough water to create a smooth mixture. Stir in the food colouring. Carefully spread the icing onto the cake using a spoon and set aside until the icing hardens. Alternatively, sweets can be hidden into the hollow middle. 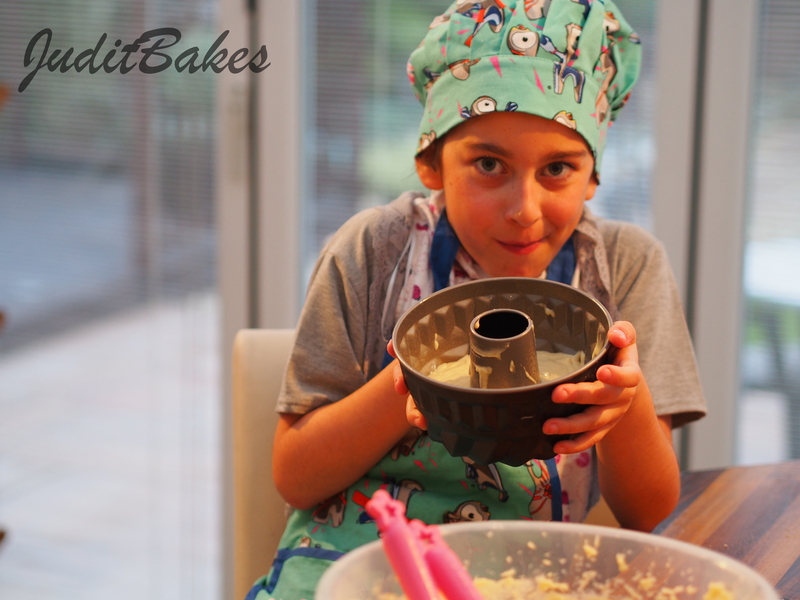 This entry was posted in Baked treats, Baking with Children, Cakes, Decoration of bakes, Just Everything, Seasonal Baking, Sweet Bakes, Treats for Life and tagged cake. Bookmark the permalink.